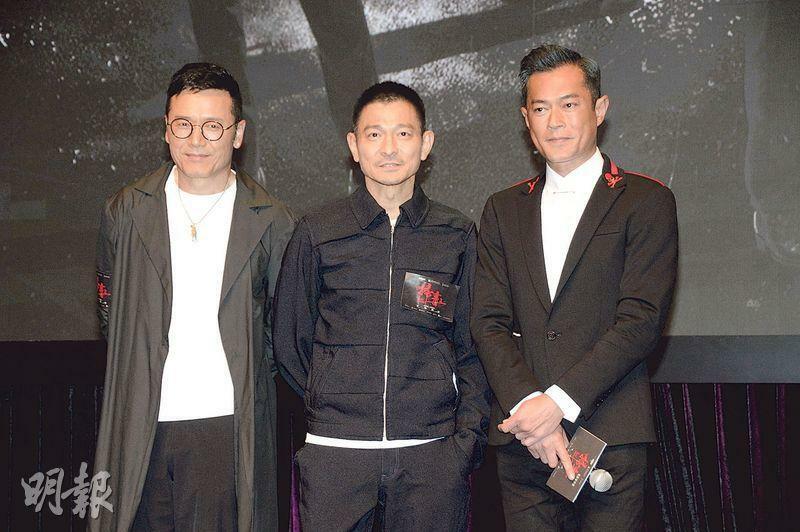 The summer release WHITE STORM 2: DRUG LORDS (SO DUK 2 TIN DEI DUI KUET) yesterday held a press conference at the Hong Kong International Film and Television Market. 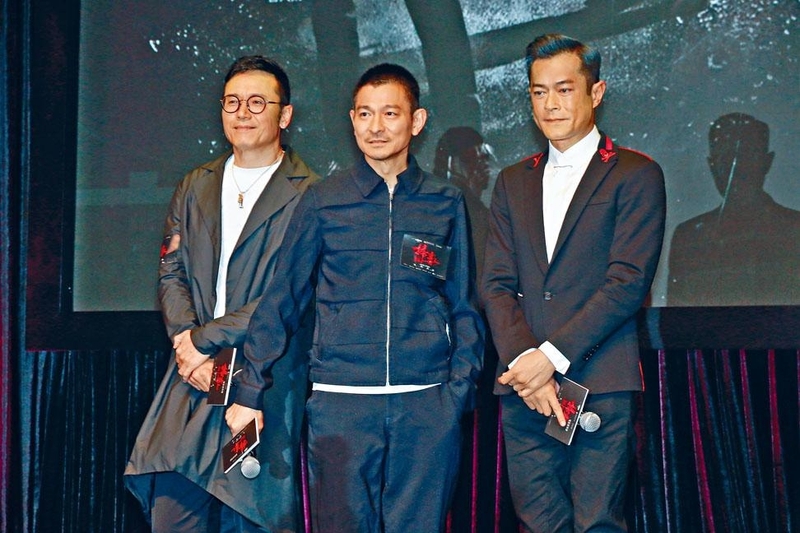 Director Herman Yau Lai To, actors Andy Lau Tak Wa, Louis Koo Tin Lok, Michael Miu Kiu Wai, Kent Cheng Juk Si, Karena Lam Ka Yun and Chrissie Chau Sau Na all appeared for the trailer premiere. 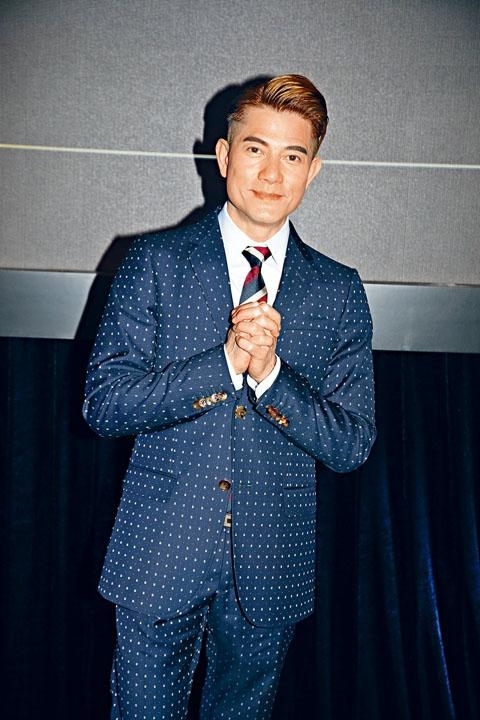 As the producer and the lead, Lau Tak Wa revealed that WHITE's first 80 minutes had plenty of car chases. For the finale a 1 to 1 scale two story MTR Central station lobby and tunnel set was built for a car chase between him and Koo Tin Lok into the MTR. The shoot took over two weeks. Sam Gor said that it cost HK$ 350 million. Wa Jai said, "Then I would rather they gave the money to us!" Speaking of yesterday two MTR trains crashed during a new signal test, Goo Jai said, "Maybe we crushed them!" Sam Gor continued, "It was at the station we shot at, I am a little scared!" Wa Jai also said, "That's very awkward!" Sam Gor joked, "Would they blame you?" Wa Jai answered, "I don't think now, they would blame the boss!" Donnie Yen Chi Tan yesterday with hs wife Cissy Wang attended the 2019 BWM Hong Kong Derby at the Shatin racetrack. 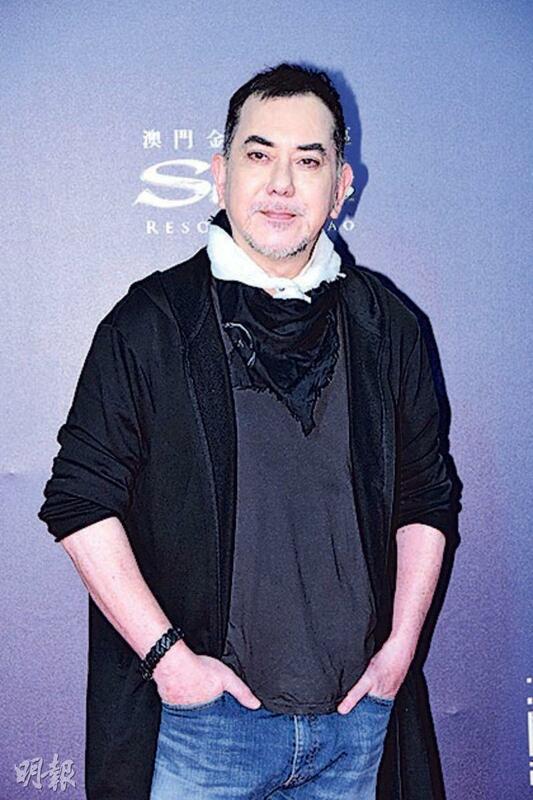 Chi Tan revealed that early next month he will work and produce a crime film with Benny Chan Muk Sing. 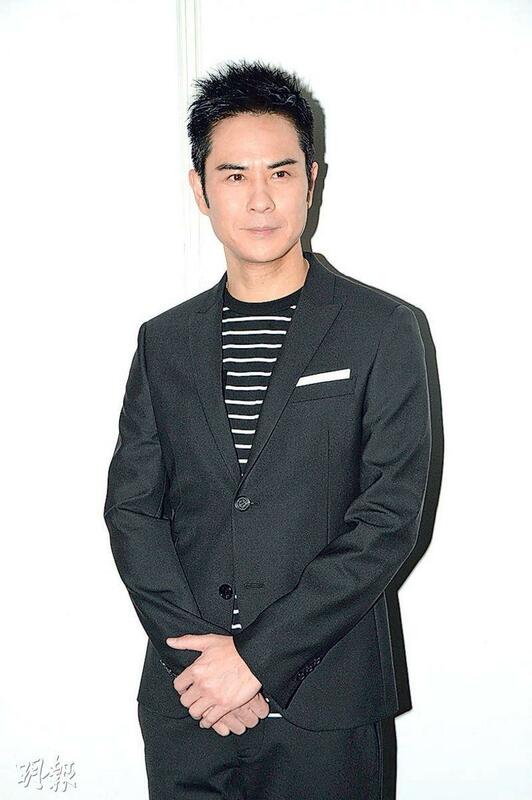 The film will shoot in Hong Kong, then he will have more time to spend with is family. He revealed that his character will have to fight, for which he hoped to be able to bring new elements to viewers. At the end of the year he will also make a movie that he will invest in, his character will not have to fight too much. Before the 13th Asian Film Award took place, the stars took to the red carpet with Korean sars Kim Jae-joong, Park Seo-jun, Anthony Wong Chau Sun, Kara Wai Ying Hung, River Huang, Gigi Leung Wing Kei, Jordan Chan Siu Chun and his wife Cherrie Ying Choi Yi, Joan Chen, Zhang Jingchu, Fish Liew Chi Yu, Alex To Tak Wai, director Stanley Kwan Kam Peng and others.